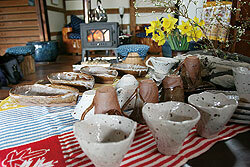 We offer the various experiences only in the mountain village. Because the participation only for experiences is possible without staying, please talk willingly. Snatching off can be experienced to the pool of a clear stream. It may not be able to do by rise of water of a river, etc. Please understand the situation. 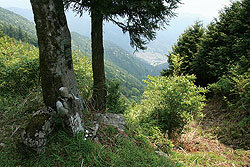 In the place of about 20 minutes, the outdoor club Iceman is located by car from Akakura. 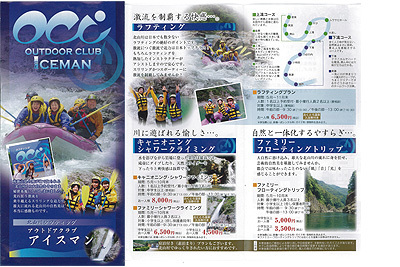 They offer the play unique to summer, such as rafting, canyoning, shower climbing, and a family floating trip. 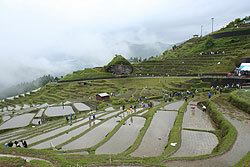 The small paddy field of many sheets is located in the Maruyama area, and it is called Senmaida. From April to October. Reservation required. From November to March. 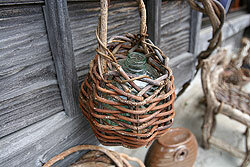 The basis of instruction and an original basket are made. 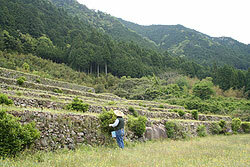 A once old road and the way which Shugendo person followed are shown. In summer. 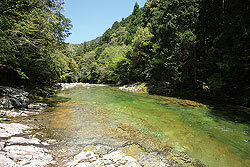 The clear stream of rich nature is ideal for children's swim in a river. 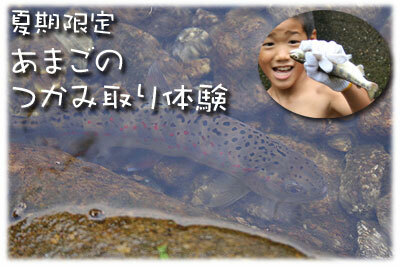 Roe gathering is from End of October. 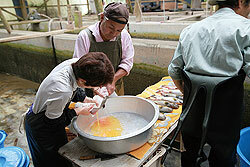 Culture of Amago can be experienced by Akakura fishery. 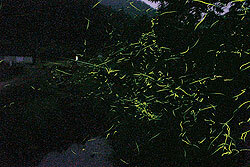 We introduce the point with which many fireflies are seen. 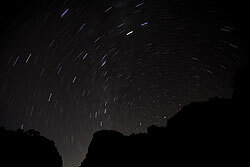 Since a natural woodland does not have an excessive light, you can see a starlit sky finely. Stay is reservation required. Please apply for a schedule etc. after consultation and adjustment.